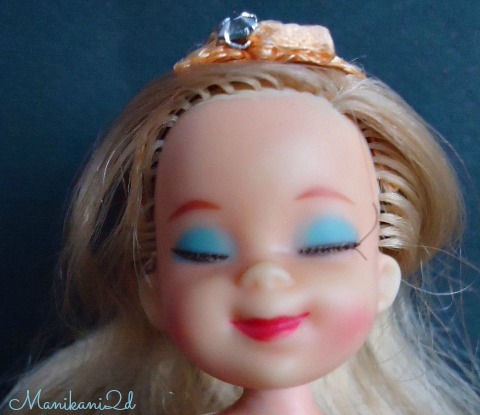 The week that was has given me so little time to round up my old dolls, too many housework. 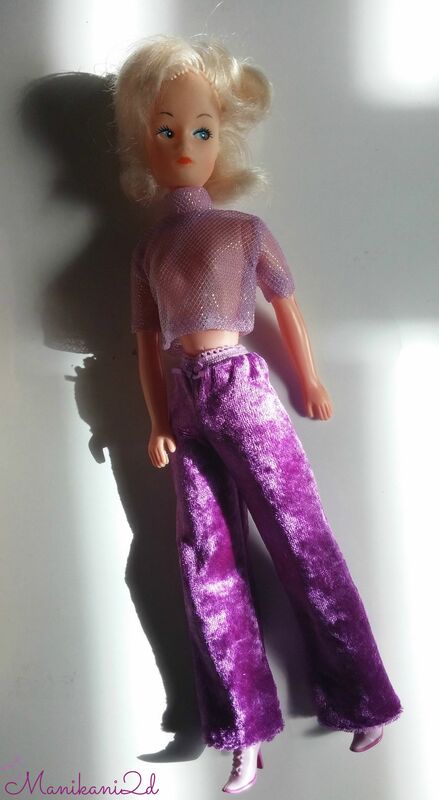 So far here are some (note: I should have entitled these posts as My Vintage/old dolls instead of just the 70s Dolls) some of these may not be from the said era and I am a bit lazy to research on the exact year they came out, so anyone reading this, feel free to correct me, I don’t mind, thank you. 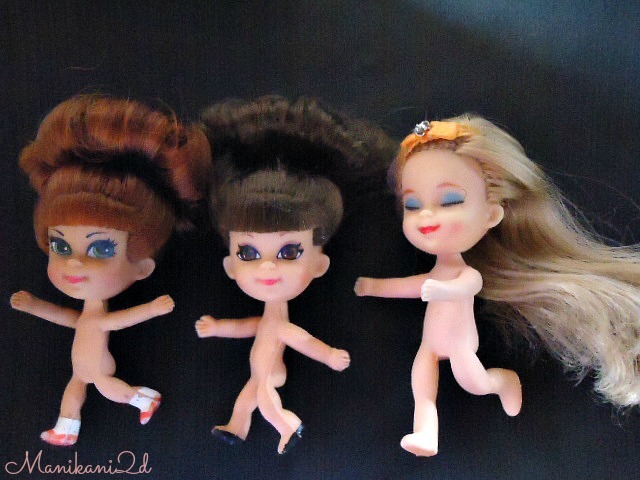 I found these 3 dolls along with Flatsy Dolls by Ideals, but I didn’t buy them. 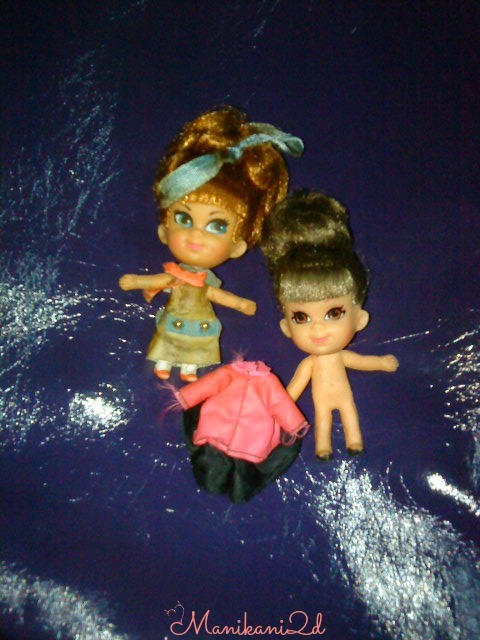 These Liddle Kiddles’ outfit have become sticky so I threw them away, not realizing that they could add up to the value of the doll if ever I decide to sell them, ouch! I’ve been lazy, the net is soooo slow! 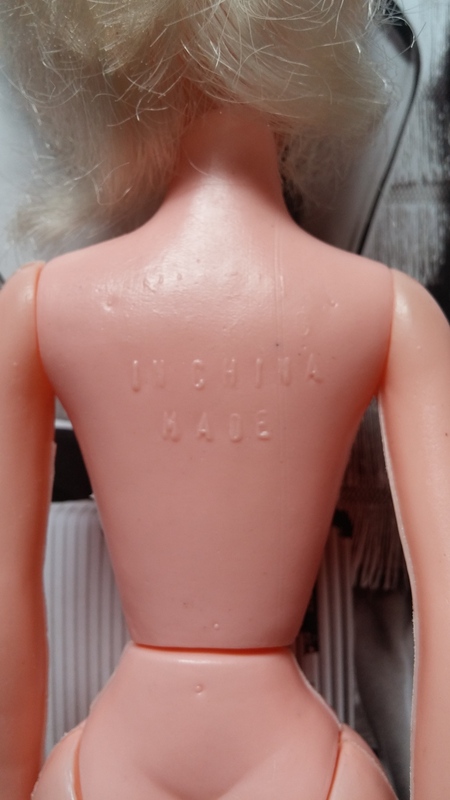 I don’t know up to how many parts these 70’s doll will take me. Lately the days are gloomy, hard to take pictures, plus my hands are not as steady as they used to. 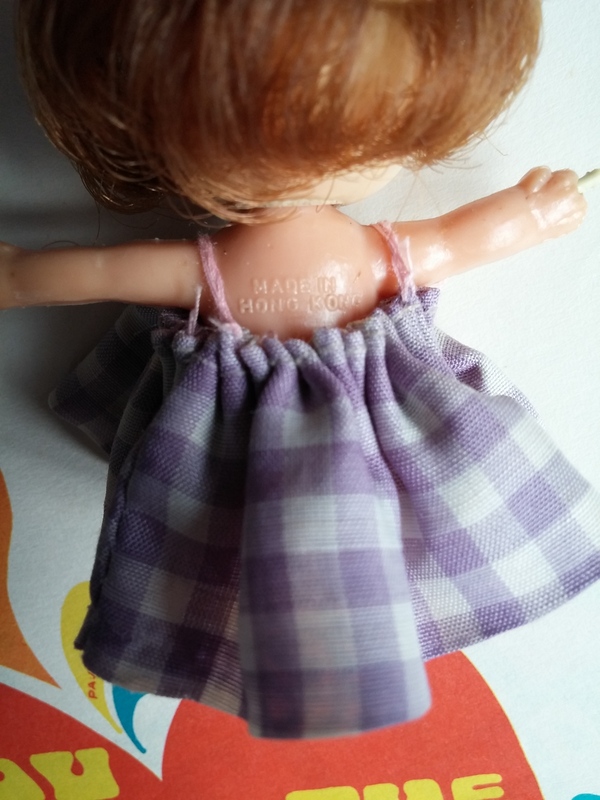 I want to make my details short and just post everything. But, on second thought, for my own reference, I’d like to put all info (if I can) so as not to forget. I’m not getting any younger, so my memory in time will fail me to recall. 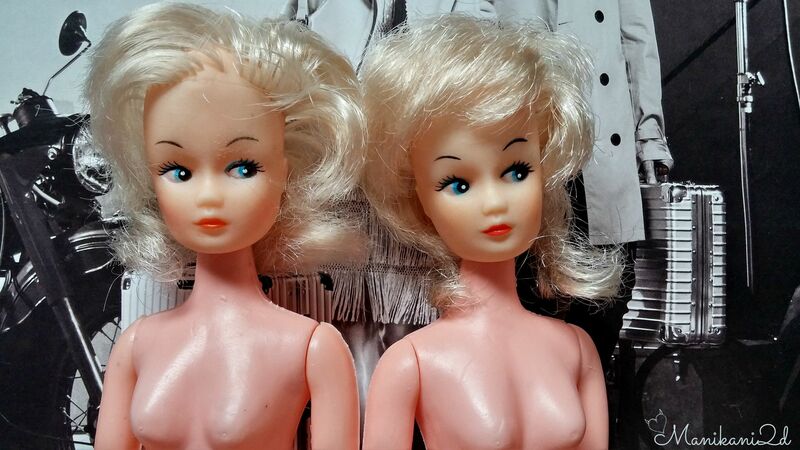 I love clone dolls made from the 70’s. I don’t care if the materials they used are cheap. I found these at Desibel in Cubao a few years ago. 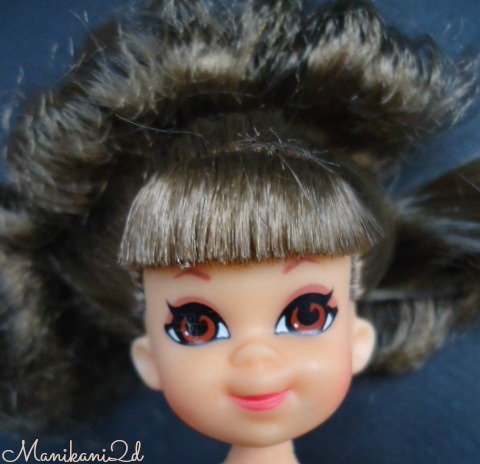 The side glance is my deciding point, plus the hairstyle! 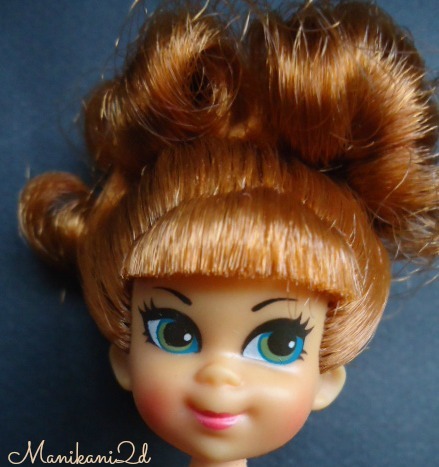 I thought she looked like Sindy, then I remember a doll named Petra. 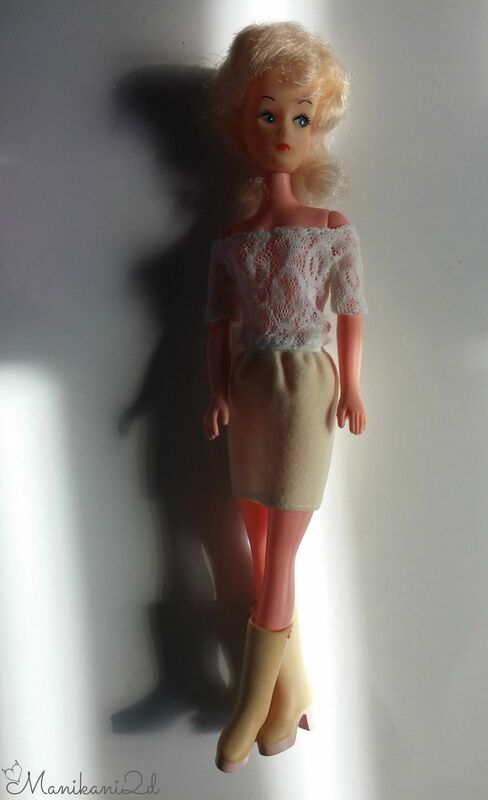 They looked more like Petra Von Plasty, I’m not sure, she could be Tressy, or just another craft doll. 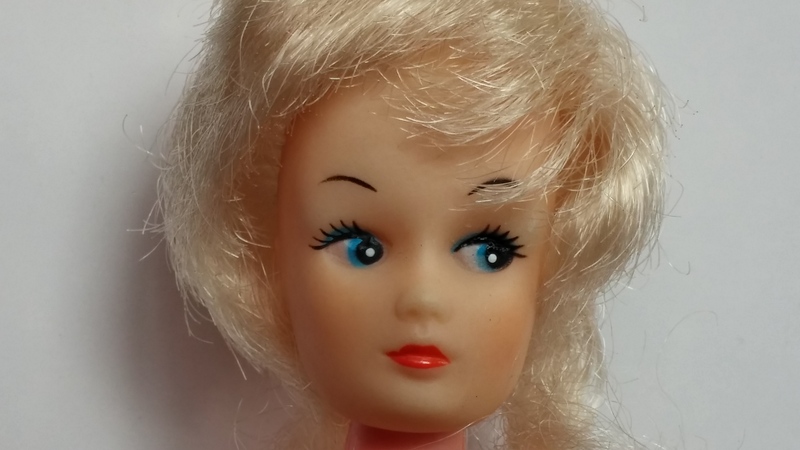 While most of the dolls I googled are side glancing towards the left, these are glancing to their right side. 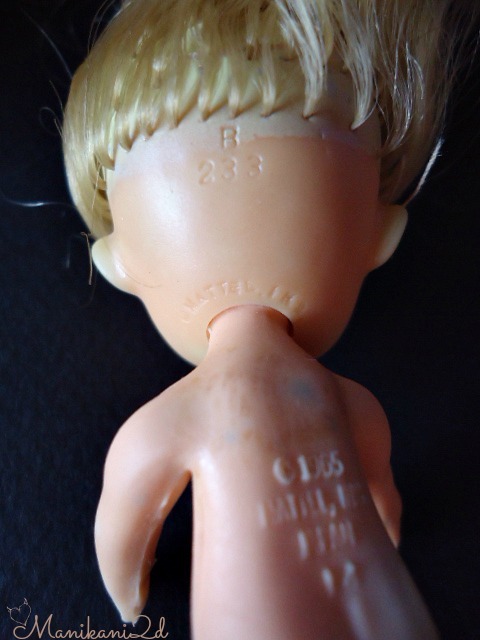 No year was stamped at the back, I can tell they are from the 70’s. 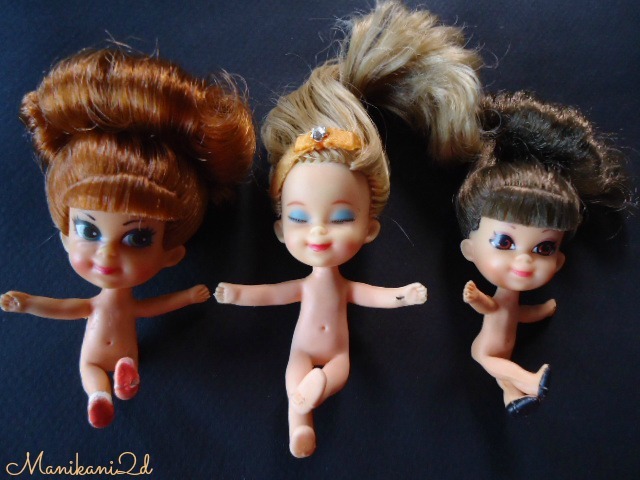 These are my sisters’ dolls, but they have outgrown them, so they were handed down to me. 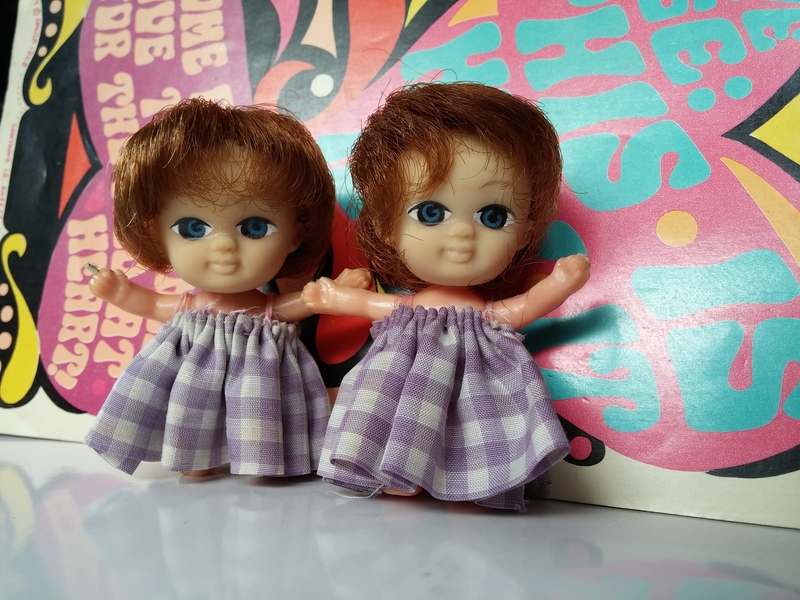 There was a period during the 70’s that a mini doll inside a plastic purse or bag became a hit. 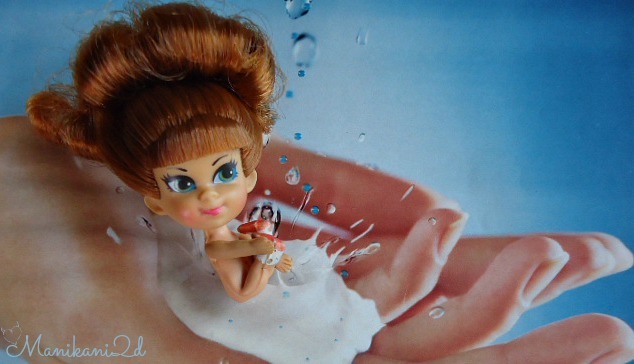 Liddle Kiddles dolls are the famous one. 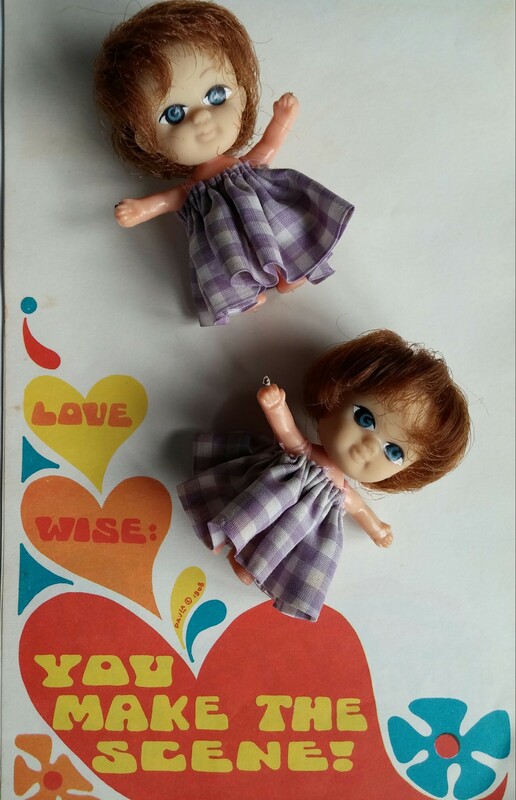 These Hong Kong dolls has the same body structure as the Kiddles. 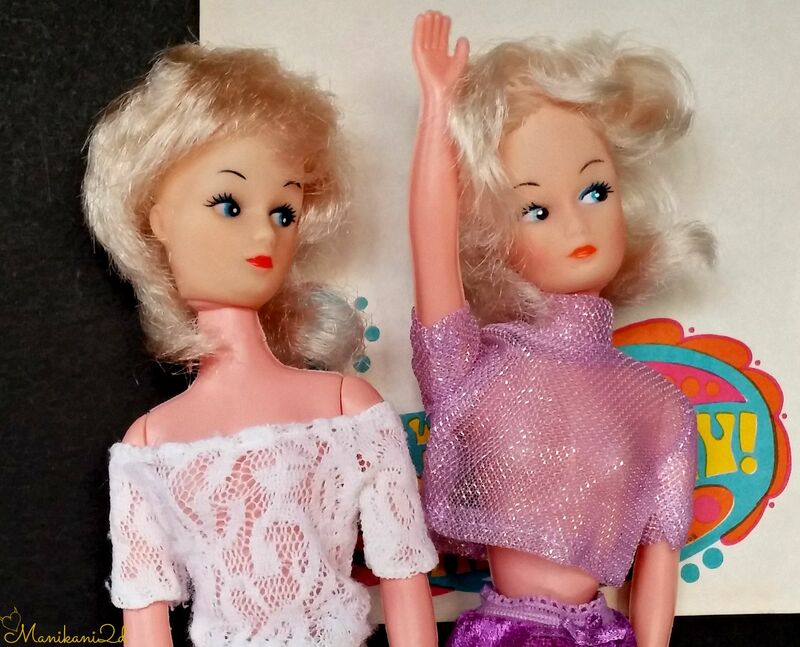 I remember they’re in a pink plastic purse with keychain. They wear a white and blue striped uniform with a nurse cap, so I suppose they are nurses. 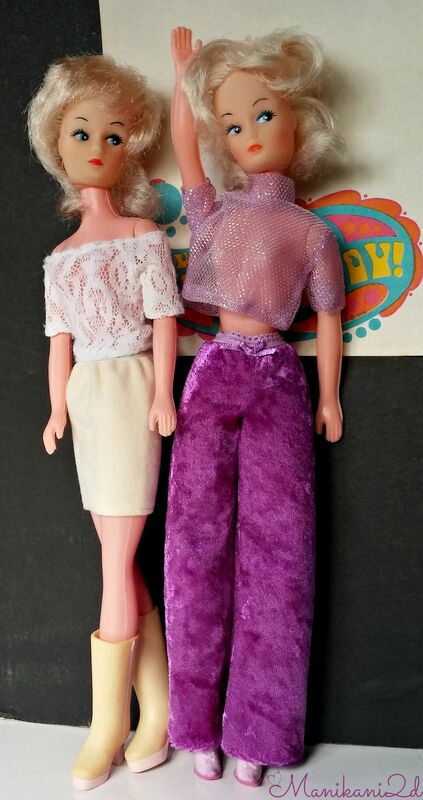 I lost their outfit.